Located in the heart of Somerset this delightful property is an ideal base for exploring the area. England s smallest city Wells is close by with its magnificent cathedral and popular market days (Wednesdays and Saturdays). 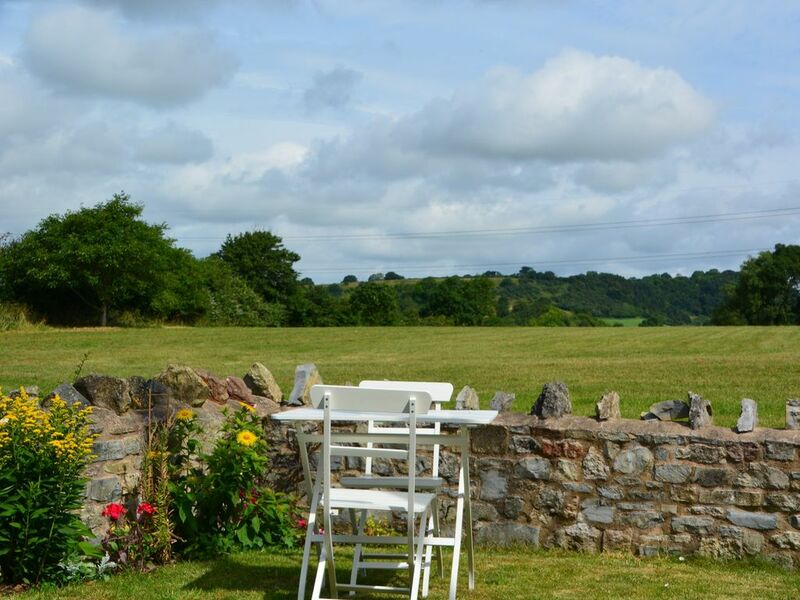 You can enjoy cycling direct to either Glastonbury or Wells via beautiful country lanes. Other popular days out include the historic city of Bath Glastonbury Tor the popular retail outlet Clarks Village and the famous caves at Cheddar Gorge and Wookey Hole. The traditional seaside towns of Weston-Super-Mare and Burnham-on-Sea are to the north and you can enjoy a variety of leisure activities such as swimming riding golf and fishing close by. Situated in a beautiful rural spot this property offers a perfect holiday base. On entering this delightful and comfortable single-level barn conversion you will find yourself in the bright spacious and comfortable open-plan lounge/kitchen/diner. With vaulted ceiling and exposed beams the attractive and airy lounge has been tastefully decorated to make it an ideal space to relax in after a great day. The nicely situated dining area is ideal and the light and elegant kitchen is well-equipped with everything you may need during your stay including electric oven and hob fridge microwave washer/dryer. Exploring further you will find the cosy double bedroom. You will also find an en-suite bathroom complete with shower over the bath and WC. Moving outside you can relax in the privacy of the enclosed low-walled garden complete with garden furniture and BBQ and which offers stunning countryside views. There is available as well as storage for bicycles.